For well over a year, I have been working on the hypothesis/theory that time does not exist at all. Theoretical physics, quantum mechanics, string theory, relativity (general and special), and mathematics were really not my high points in school. Albert Einstien‘s simplified equation of E=MC2 in lay terms means that energy (E) is equal to the amount of mass (M) multiplied by the speed of light (C) in a vacuum and squared (2). Theoretically, MC2 could be converted into E (proven) and E could be converted back to MC2 (unproven, for the most part). God has all the “time” in the physical universe because God is not a physical being. John the Apostle wrote that, “God is spirit, and those who worship him must worship in spirit and truth” (John 4:24 ESV). It is quite easy to determine that God transcends space, time, and infinite dimensions. E=MC2 is also based on the hypothesis that time (at least in a vacuum such as interstellar space) travels at a constant speed and is the universal speed limit of the universe. However, modern science is teaching us that this is not the case, In fact, the speed of light seems to be changing. Creation Ministries International: Speed of light slowing down after all? WND: Speed of Light Slowing Down? Optics & Photonics Focus: Is Light Slowing Down? Koinonia House: Speed of Light Slowing Down? If light is indeed slowing down, then our fundamental answers from secular science concerning the age of the universe (as well as the rest of creation) is in error. This is a “back to the drawing board” mandate for all of secular science. Of course, Richard Dawkins and Stephen Hawking would scream “crucify him” over my theories and hypothesis. This hypothesis and theory also destroys radiocarbon dating to some extent. Radiocarbon dating requires measuring instrument calibration with an artifact of known age to have any accuracy. Science has no accuracy on any artifact over roughly 4,000 years of age. Therefore, radiocarbon dating of the universe of 14.7 billion years of age is highly inaccurate, at least as far as the radiocarbon dating equipment is concerned when calibrated with a an artifact of known age. ChristianAnswers: How accurate are Carbon-14 and other radioactive dating methods? AnswersInGenesis: What is radiocarbon dating? Is it accurate? AnswersInGenesis: Doesn’t Carbon-14 Dating Disprove the Bible? Dr. Chuck Missler used the example of creating a large triangle in which the sum added up to over 180 degrees. This example was a wonderful example to prove the curvature of the Earth. Unfortunately, I have some friends who suggest that the Earth is flat, planets are demons, there is no outer space, stars are angels, and that the Earth is the center of the universe with everything rotating around us. I thought these myths were laid to waste by men like Galileo Galelei in the middle-ages. I was obviously mistaken. It would further appear that we are not bound by one, two, three, or even four dimensions. Mathematics seem to indicate that there are an unlimited or infinite number of dimensions in both the spirit world and the physical world. However, as mortal beings with a beginning (Genesis 1), we cannot fully understand or perceive these additional dimensions. In fact, we must think of three dimensions in two dimensional terminology to even understand a three dimensional world. God is an infinite Being and no human can fully answer these God-sized questions, but through God’s Word, we can understand much about who God is and what He is like. May we all wholeheartedly continue to seek after Him. As such he transcends space and time. GotQuestions: What are the attributes of God? Time travel is often discussed as a possible discovery. However, clocks do not measure time, they measure the movement of a mechanical device. Just as the curvature of the Earth affects the degrees of a triangle, a person with a shorter leg or more dominate leg will eventually walk in a complete circle without the benefit of landmarks or navigational instruments. Most people have heard of the grandfather paradox. 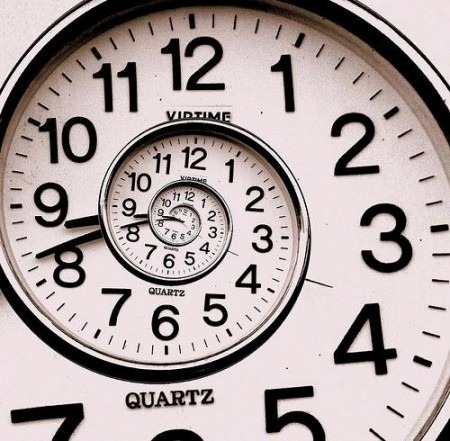 The grandfather paradox and other similar paradoxes are unnecessary to disprove time travel. It is impossible for either backward or forward travel in time. This is because time does not exist. To take things further than large triangles or paradoxes, lights, including laser light are subject to the same physics. General relativity predicts that the path of light is bent in a gravitational field; light passing a massive body is deflected towards that body. This effect has been confirmed by observing the light of stars or distant quasars being deflected as it passes the Sun. This and related predictions follow from the fact that light follows what is called a light-like or null geodesic—a generalization of the straight lines along which light travels in classical physics. Such geodesics are the generalization of the invariance of lightspeed in special relativity. As one examines suitable model spacetimes (either the exterior Schwarzschild solution or, for more than a single mass, the post-Newtonian expansion), several effects of gravity on light propagation emerge. Although the bending of light can also be derived by extending the universality of free fall to light, the angle of deflection resulting from such calculations is only half the value given by general relativity. Closely related to light deflection is the gravitational time delay (or Shapiro delay), the phenomenon that light signals take longer to move through a gravitational field than they would in the absence of that field. There have been numerous successful tests of this prediction. In the parameterized post-Newtonian formalism (PPN), measurements of both the deflection of light and the gravitational time delay determine a parameter called γ, which encodes the influence of gravity on the geometry of space. So although one may perceive that they are travelling forward or backward in time, the starting point (present time) will always be the ending point. There can be no gain or loss as time as it is only a perception relative only to our location as mere mortals. I submit that spacetime does not exist as a dimension. Time is nothing more than a tool that mankind has invented to measure distance, not unlike an inch, meter, mile, or an astronomical unit. Albert Einstein was wrong on his view of the spacetime continuum. I have no respect for men like Richard Dawkins or Stephen Hawking who try to disprove the existence of God through mathematics. The physical world cannot be applied to a spiritual world. Both men are geniuses, but Paul the Apostle spoke of such men. For what can be known about God is plain to them, because God has shown it to them. For his invisible attributes, namely, his eternal power and divine nature, have been clearly perceived, ever since the creation of the world, in the things that have been made. So they are without excuse. For although they knew God, they did not honor him as God or give thanks to him, but they became futile in their thinking, and their foolish hearts were darkened. Claiming to be wise, they became fools, and exchanged the glory of the immortal God for images resembling mortal man and birds and animals and creeping things. Time is mankind’s perceived sequence of events. It is no different than 1,2,3,4,5,6,7 or 100, 200, 300, 400, 500, 600, 700 and other sequences. As such, time does not exist, neither is God or the spiritual world subject to the boundaries of time. The physical world is subject to time. From a linear perspective, we began in Genesis 1:1, that is the beginning of physical time and universe. We have no ending as we all have eternal life as a gift from our Creator. Where we spend that eternity is up to the decisions that we make here during our physical existence. In the beginning was the Word, and the Word was with God, and the Word was God. He was in the beginning with God. All things were made through him, and without him was not any thing made that was made. For by him all things were created, in heaven and on earth, visible and invisible, whether thrones or dominions or rulers or authorities–all things were created through him and for him. And he is before all things, and in him all things hold together.